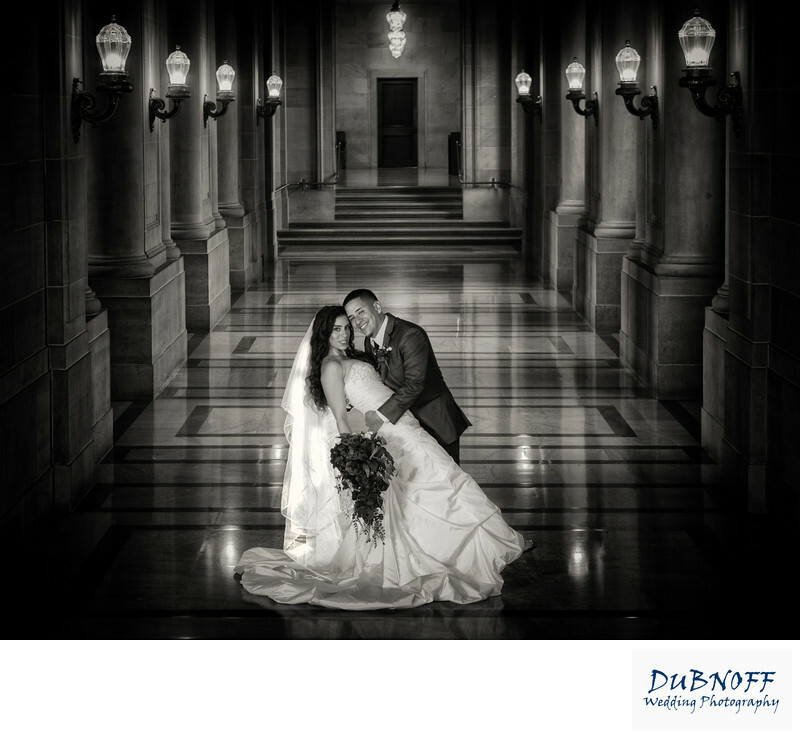 I love this dramatic Hallway image taken at San Francisco City Hall. We set up a hidden light behind the bride to light up the veil and add something different to the image. For this picture I decided to present it to the couple in Black and White to provide a unique look.